If you have been charged with DWI in Charlotte, North Carolina, it is likely that the officer conducting the DWI investigation asked you to submit to a DWI breath test. A DWI breath test gives the police access to the most incriminating piece of evidence against you in a DWI case; that is, your alcohol concentration. In Charlotte, it is illegal to drive with an alcohol concentration of 0.08 or more. While there are multiple ways for the police to determine your alcohol concentration (i.e. breath, blood, or urine test) it is typically done through a DWI breath test using one of two breath machines, the Intoxilyzer 5000 or Intoximeter EC/IR II. During your DWI trial, admitting the results of your breath test to show your alcohol concentration is the State’s preferred method to prove to the judge or jury that you were driving while impaired. With so much as stake, it is important to ensure that your DWI breath test was administered as required under Charlotte’s laws. If the police did not administer the test properly, the results of your DWI breath test could be suppressed during your DWI trial. This means that the officer who conducted your DWI breath test would not be allowed to testify to your alcohol concentration. This article will look at many of the DWI breath test defenses our Charlotte DWI attorneys examine in every DWI case they take on. You have been charged with an implied consent offense. Under the implied-consent law, you can refuse any test, but your drivers license will be revoked for one year and could be revoked for a longer period of time under certain circumstances, and an officer can compel you to be tested under other laws. The test results, or the fact of your refusal, will be admissible in evidence at trial. Your driving privilege will be revoked immediately for at least 30 days if you refuse any test or the test result is 0.08 or more, 0.04 or more if you were driving a commercial vehicle, or 0.01 or more if you are under the age 21. After you are released, you may seek your own test in addition to this test. You may call an attorney for advice and select a witness to view the testing procedures remaining after the witness arrives, but the testing may not be delayed for these purposes for longer than 30 minutes from the time you are notified of these rights. You must take the test at the end of 30 minutes even if you have not contacted an attorney or your witness has not arrived. If you were advised of these rights, you should recognize them as being provided to you in writing on a green sheet of paper titled, "Rights of Person Requested to Submit to a Chemical Analysis to Determine Alcohol Concentration or Presence of an Impairing Substance." If the chemical analyst, who is typically the officer who administered your DWI breath test, failed to properly notify you of these rights, the results of your DWI breath test (i.e. alcohol concentration) are inadmissible in evidence. For a DWI breath test to be admissible during your Charlotte DWI trial, it must be administered by a Licensed Chemical Analyst (LCA). N.C.G.S. 20-139.1(b)(2) and (b1) defines who may administer a DWI breath test. Specifically, this statute states that the person who performs your DWI breath test must have a currently valid permit, issued by the Department of Health and Human Services (DHHS), that authorizes the person to perform a DWI breath test on the breath machine used, either the Intoxilyzer 5000 or Intoximeter EC/IR II. If the person who performed your DWI breath test did not have such a permit, the results of your test are inadmissible in evidence. This means the State cannot use the results of your DWI breath test to prove your alcohol concentration. To determine if the person who performed your Charlotte DWI breath test was a LCA, thus issued the necessary permit by the DHHS to administer a DWI breath test, follow this link. If you do follow this link, the LCA’s are listed in alphabetical order by their last name. Find the LCA who conducted your DWI breath test and determine if they had a valid permit at the time they administered your DWI breath test. Generally, but not always, the LCA will be the officer who arrested you for DWI. The DHHS permit issued to the person who performed your DWI breath test. The type of instrument the person can perform DWI breath tests on (i.e. Intoxilyzer 5000 or Intoximeter EC/IR II). The date the permit was issued. In addition to being performed by a LCA, per N.C.G.S. 20-139.1 (b)(1), your DWI breath test must have been performed in accordance with the rules of the DHHS to be admissible during your Charlotte DWI trial. DHHS’s breath alcohol test regulations can be found in Title 10A, Subchapter 41B, Section .0300 of the North Carolina Administrative Code (10A NCAC 41B). Let’s look at some of the specifics of these rules as they apply to the DWI breath testing instruments, the Intoxilyzer 5000 and Intoximeter EC/IR II. There are operational procedures that must be followed for your DWI breath test results – your alcohol concentration – to be admitted into evidence during your Charlotte DWI trial. These operational procedures for Charlotte’s DWI breath-testing instruments are set forth in the following statute. The two most common issues that arise with the operational procedures of these various DWI testing instruments concern the observation period and sequential breath tests requirements. Each of these will be discussed below. The fact that you had a dental device or oral jewelry during your DWI breath test is irrelevant. However, if the LCA fails to continuously observe you for the entire 15-minute observation period, the results of your DWI breath test should not be admitted into evidence during your DWI trial. The DWI breath test operational procedures listed in the links above also indicate that sequential DWI breath tests must be given. This is reinforced in N.C.G.S. 20-139.1(b3). Specifically, this statute states that all breath samples are admissible at your DWI trial if the test results from any two consecutively collected breath samples do not differ from each other by an alcohol concentration greater than 0.02. If the alcohol concentrations differ by more than 0.02, a third [or fourth] breath sample shall be collected. In any case, only the lower of the test results of the two consecutively administered tests can be used to prove your alcohol concentration. Basically, this statute requires that two consecutive DWI breath samples be taken. If the alcohol concentration of those DWI breath samples does not differ by more than 0.02, the lower of the two results is admissible in evidence to prove that lower alcohol concentration. Thus, if your first DWI breath sample was 0.15 and your second DWI breath sample was 0.13, the 0.13 DWI breath sample would be allowed into evidence to prove that your alcohol concentration was 0.13. However, if your first DWI breath sample was 0.15 and your second DWI breath sample was 0.12, neither DWI breath sample would be admissible in evidence because there is more than a 0.02 difference in alcohol concentrations; specifically, a 0.03 difference. If this was the case, the LCA would be required to collect a third DWI breath sample. To be admissible, the third DWI sample would need to be within 0.02 of the 0.12 DWI breath sample. If it was, the lower of the second and third DWI breath samples would be admissible to prove that alcohol concentration. If the LCA fails to collect two consecutive DWI breath samples with alcohol concentrations within 0.02 of each other, the results of your DWI breath test are not admissible in evidence during your Charlotte DWI trial. However, it is important to realize that if you refuse to give a second or subsequent DWI breath sample, this constitutes a refusal under other laws. Such a refusal makes the result of the first DWI sample admissible in evidence at your DWI trial. 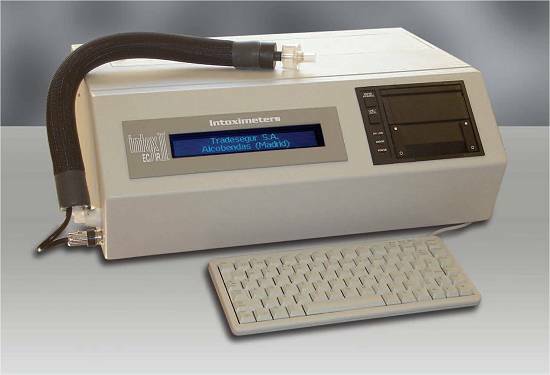 Preventive maintenance of the various Charlotte DWI breath-testing instruments, the Intoxilyzer 5000 and Intoximeter EC/IR II, must be performed by the DHHS in accordance with their rules and regulations. Such preventive maintenance is performed to ensure that the DWI breath-testing instruments are functioning properly and accurately. If preventive maintenance is not performed by DHHS as prescribed, the results of your DWI breath test is inadmissible in your DWI trial. The required preventive maintenance procedures for Charlotte’s DWI breath-testing instruments are set forth in the following statute. 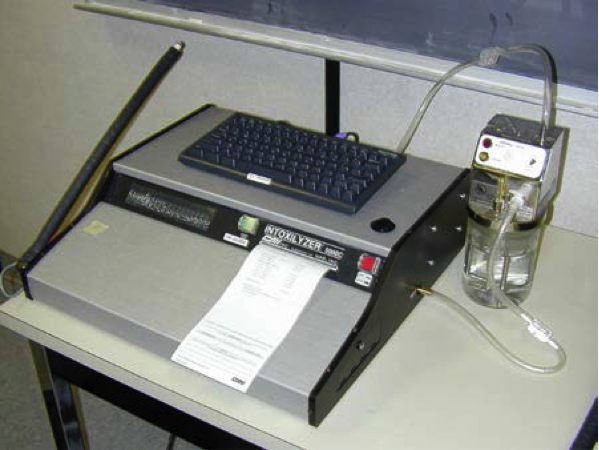 Whether your DWI breath test was performed on the Intoxilyzer 5000 or the Intoximeter EC/IR II, it is important to ensure that the DHHS performed the preventive maintenance procedures above within the necessary time limits; that being at least once every four months or after 125 Alcoholic Breath Simulator tests, whichever occurs first. Towards the bottom on the preventive maintenance record, find out if the date is within four months of when your DWI breath test was administered. Demonstrate that preventive maintenance procedures were not performed on your DWI breath-testing instrument within the time limits prescribed by the DHHS’s rules and regulations. The purpose of this 30-minute delay is to allow you a reasonable, but limited, amount of time to procure the presence of a witness. If you request that a witness observe your DWI breath test, but are denied access to such witness, this constitutes a flagrant violation of your constitutional rights and requires that the DWI charge against you be dismissed. Let’s look at the specific requirements of this statute. First, after being arrested for DWI in Charlotte, you must choose to have a witness present under N.C.G.S. 20-16.2(a), the law cited above. The police are not required to delay testing unless you explicitly exercise this right. Third, your witness must arrive within the 30-minute time limit and make reasonable efforts to make his or her presence known. Even if you do exercise your right to have a witness present to observe your DWI breath test, the test does not have to be delayed more than 30 minutes. This means your DWI breath test can, and in all likeliness, will, be administered after 30 minutes regardless of whether your requested witness has arrived or not. As you should be able to tell after reading this article, Charlotte DWI law is complicated. This article was meant to give those of you who submitted to a DWI breath test and were charged with DWI a brief overview of potential defenses available to you. However, know that this article only begins to touch the surface of each of these convoluted areas of DWI defense. To discuss your specific case, contact our Charlotte DWI lawyers, who are former Mecklenburg County prosecutors, at (980) 207-3355, today. For further reading, browse our DWI case results.